If you’re in need of commercial cleaning services in Brooklyn Park, then look no further. 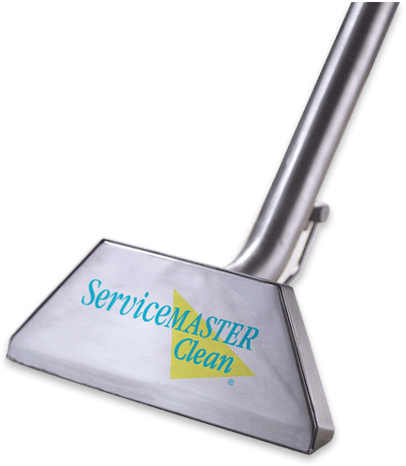 Here at Service Master, we have experience in commercial cleaning to ensure that you’re business is in perfect shape and creates a productive and successful environment. With a team of efficient and professional technicians who are good at what they do, you’ll notice the difference after the first cleaning. We leave no stone unturned when it comes to making sure that every detail in your office is spotless. Our professionals utilize the most advanced commercial floor cleaning methods and equipment to making every square inch of flooring in your office or showroom look amazing. ServiceMaster’s upholstery cleaning experts will thoroughly vacuum, treat any spots, deep clean by hand and polish any and all framing, leaving you with furniture that looks, smells and feels as good as new. We offer numerous other cleaning options for your business, such as air duct cleaning, fire and smoke restoration, water damage mitigation, and trauma/vandalism cleanup. You know the importance of a clean office space. If you have a prospect employee or a client coming in, how your office looks is one of the first aspects they’ll notice. If your floors are dirty or your walls marked up, customers will likely equate the level of care you put into your business’s appearance with the quality of service you provide, which can ultimately send them running out the door and to your competitor’s. Turn to ServiceMaster to avoid this problem, as our stringent hiring process and state of the art equipment will have your business looking brand new. Our customer reviews backup our promise of professional service with fantastic results. 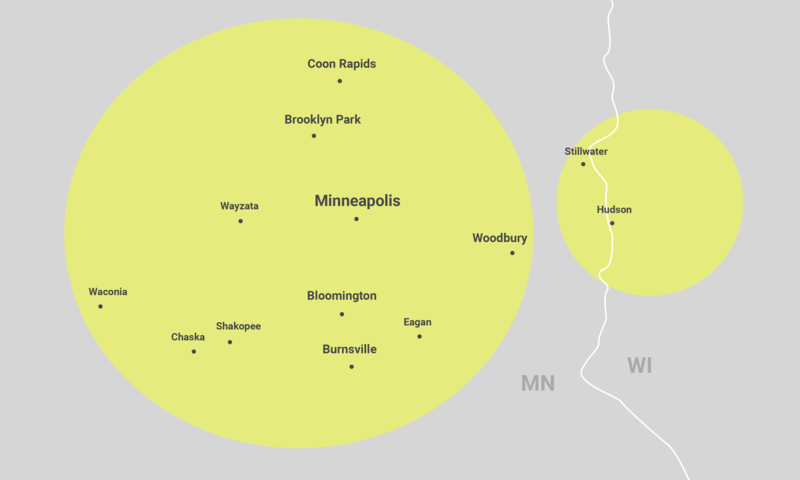 Contact ServiceMaster in Minneapolis by calling (612) 354-5466 or filling out a form on our contact page. When your office needs cleaning, take action immediately — get in touch with our expert team today! it’s about time to clean your business’s floors, turn to the Minneapolis area’s most trusted commercial floor cleaning experts at your local ServiceMaster. Our courteous professionals utilize the latest, most advanced commercial floor cleaning methods and equipment and are steadfast in their commitment to making every square inch of flooring in your office or showroom look as good as it did when first installed. Whether you’re a small mom-and-pop shop or a massive warehouse, we’ll tackle any and all of your flooring needs with tremendous ease. Dirty furniture can be hard to see. But, if you go even a small amount of time without cleaning your upholstery, it may start to develop soil, dirt, skin, dust and other unpleasant particles quicker than you expect. ServiceMaster’s upholstery cleaning experts will thoroughly vacuum, treat any spots, deep clean by hand and polish any and all framing, leaving you with furniture that looks, smells and feels as good as new. Clean windows don’t just express to your customers that you care about the cleanliness of your business, they also express a sense of transparency, as they suggest you want your customers to see the true nature of your business with 100% clarity.During our window cleaning process, we use deionized water which will create streak free, spotless windows. 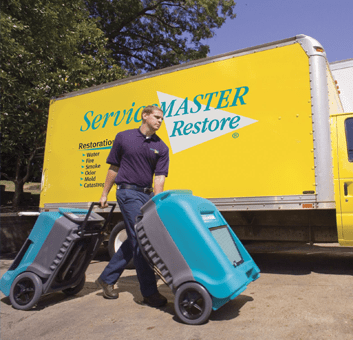 At Service Master, we also provide the following cleaning services for your office: air duct cleaning, fire and smoke restoration, water damage mitigation, and trauma/vandalism cleanup. Check out these other service options and see how they’ll benefit your office space.